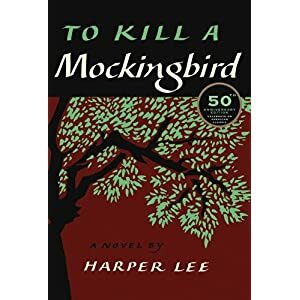 This month we return to the classics with To Kill a Mockingbird by Harper Lee. The book was released in 1960. The movie with Gregory Peck was released in 1962, celebrating its 50th anniversary this year. This month's connection to Stephen King: "I’ve written thirty-five [novels] … On the other hand … there is Harper Lee, who wrote only one book (the brilliant To Kill a Mockingbird) … [names other authors who wrote few books] … I always wonder two things about these folks: how long did it take them to write the books they did write, and what did they do the rest of their time? . . . I’m probably being snotty here, but I am also, believe me, honestly curious. If God gives you something you can do, why in God’s name wouldn’t you do it? (On Writing, Page 118)"